It would be a fair understatement to suggest that the past decade or so has been really rather underwhelming for Williams. A carousel of drivers coming in and out of the team, cars that haven't performed anywhere near moderate expectations from year to year, an attempt at bringing in experience to try and improve the odds... it would be fair to say that before 2013 it was hard to see where Williams were going to get the inspiration from after another year languishing at the back, despite that infamous win at the Spanish Grand Prix a year before. None of us could have predicted the turn around in the last 12 months though, and all for good reason. 2014 has provided Williams with a 3rd position in the Constructors Championship and 320 points over the season. To put that into perspective, that's a 6,300% increase over their 2013 tally of 5 points and almost the same as what they achieved in tally between 2005 and 2013 where, over the course of 9 seasons the team scored 325.5 points. To call 2014 an astonishing success for the team would be underestimating the scale of achievement in comparison to the almost-decade before it. Both drivers have really brought their best to the team this year even though they never got that elusive win. 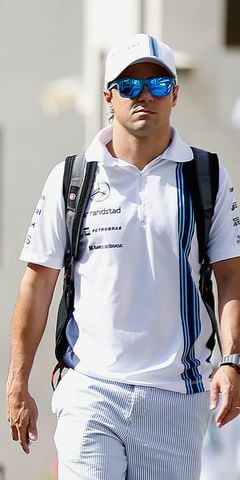 For Bottas to go out and get several podiums, ultimately pushing his much more experienced team mate on a number of occasions, allowed him to start gaining that reputation that Sir Frank feels the Finn deserves. That's no disgrace to Felipe though – the fact that the lovable Brazilian driver, who could have easily been a World Champion let's not forget, got the only non-Mercedes (team) pole of the season as well as a podium in the finale (that again could've been a win) proved that he is still absolutely worthy of being in a good car. That is exactly what Williams had this season too. It was almost refreshing in a way seeing them consistently in high scoring positions. It was a bit depressing seeing a team like Williams struggle to get 9th or 10th. A team that are the second most successful in the Constructors Championships' history until writing date shouldn't be struggling in the middle of nowhere as far as I'm concerned, and it's obvious that these concerns were shared by the higher-ups at Grove. The change in drivers wasn't just the good ideas though. Bringing in the likes of Pat Symonds and Rob Smedley alongside a raft of other changes throughout the setup of the team, such as the recruitment of aerodynamicists from Red Bull and Lotus last year, at least allowed some fresh new input to try and change the direction of where the team was heading. Sometimes you can have the most fantastic people working around you but you need a set of fresh eyes to see what's wrong, and that's what it feels like with the changes being made by Williams over the last few years. You can't say it hasn't helped after all! For me what was an interesting move, and a change that makes absolutely no impact to the car yet makes all the difference in the world, was the decision to change the look of the team to the iconic Martini livery. It almost gives credit to the racing fan ideology of racing stripes makes a car faster! It's interesting though to me how much of a difference, from a PR perspective and from a fan-friendly attitude, this makes with regards to making new fans alongside producing a car that can do the job. The Martini livery is iconic regardless of the motorsport it's being used in, and racing fans love it. 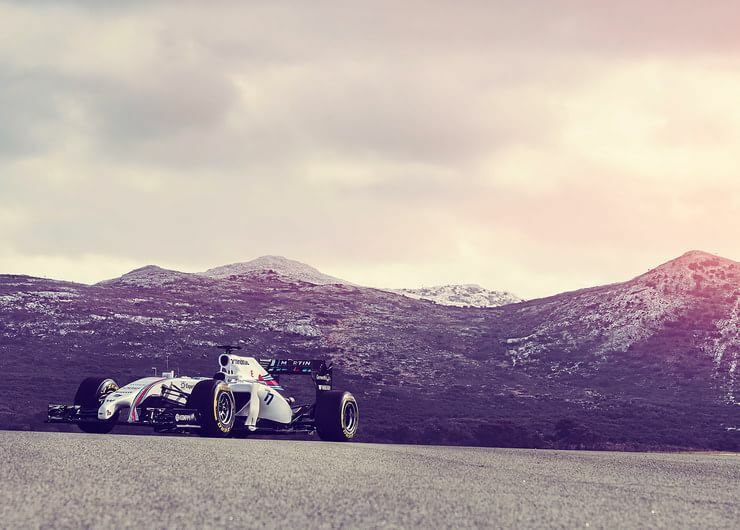 In a way it even takes a bit of identity away from Williams, almost becoming a Martini team rather than a Williams with a Martini livery, but it made a memorable impact the moment the car was first unveiled in pre-season alongside the announcement. Williams also have the unique family feel in that team that makes them very down to earth with Claire Williams stepping up to run the team alongside her father. The importance of women coming into the sport can not be ignored and their willingness to give Susie Wolff a chance in their cars is just as important for getting that message across to female F1 fans. Williams have that appeal nailed down to a tee with their family image and their openness to opportunity that it only furthers their importance in the sport in my eyes. This off-season and pre-season will be one of Williams' most important in a good while too. It was clear that the team were capable of producing a car that has the potential to win a race; now is the opportunity to push what they have into a race winning car with no 'potentially' being muttered in 2015. Williams have to absolutely push what they can as they finish initial development of the 2015 car over the next few months and prove that 2014 was not a one off. I hope that it isn't and I have every bit of faith in the world in the team, but it won't be easy. Teams like Sauber have got to be wondering what they have to do to accomplish the same level of resurgence in a period of stagnation such as what Monisha Kaltenborn's team seem to be experiencing. It's been a wonderful year though to see Williams and all its history come back to the forefront of the sport. It's almost a shame in a way that Mercedes produced a car in their own team that was so dominant in the races and in qualifying that it seemed to overshadow the success of the car that Sir Frank and his team had created this year. Their wonderfully iconic new look this year and a pairing of drivers that will do what's best for the team alongside the aforementioned changes made internally all give me an extremely good feeling for Williams' future, and regardless of who you support, that is a very good thing for Formula 1. Previous post He's gone all red!